Julie studied art at Florida State University and the University of California in Berkeley. She was a prize-winning student who graduated with a degree in Painting and Drawing from George Washington University in Washington D.C., U.S.A.
After 4 years as a staff member at the Corcoran Gallery of Art in Washington, Julie moved with her husband and two young sons Ben and Zack, to Loudon County, Virginia where she established an art gallery, The Peaceable Kingdom in historic Waterford. From her studio she participated in artists groups and exhibitions in the Washington area and along the Eastern seaboard. She art, working with young people in public and private schools. In the early 1980s, her work was selected by the Smithsonian Institution for a group show that toured the United States. House Beautiful magazine featured her work in a 2 page article in 1990. 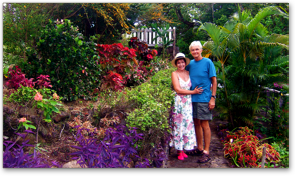 A sailing trip with her family to the Caribbean islands of St. Vincent and the Grenadines in 1978, led to over 36 years of Julie’s travel and painting in the tropics. 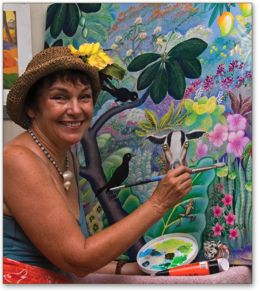 Each trip to Bequia inspired new painting styles and approaches as she visually explored the aspects also taught of island life. 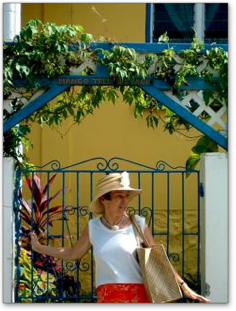 In 1999, Macmillan Caribbean (London and Oxford, England), published a book of her work called “Bequia Reflections”. The same year she rented Mango Tree Cottage (www.mango-art-studio-bequia.com) in the harbour which continues to be both her studio and exhibition space. 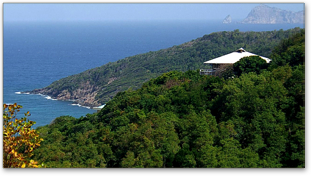 In 2005, she and her husband Douglass Lea, bought a house overlooking Spring Bay on Bequia where they now live most of the year.